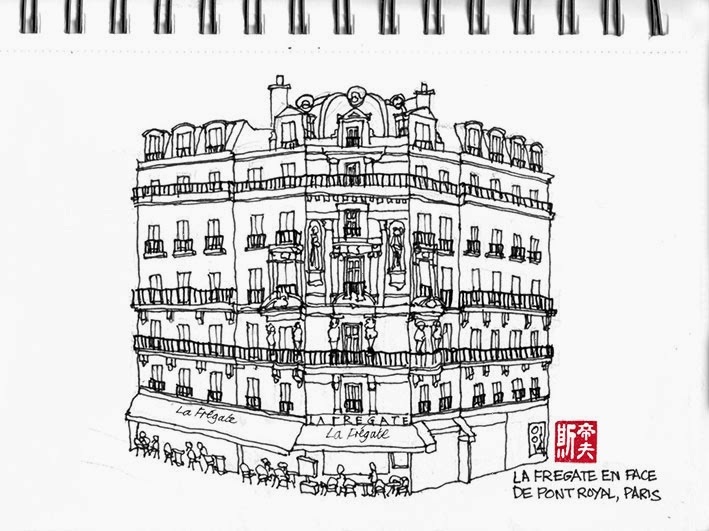 In order to avoid the ridiculously expensive breakfast in the hotel, we have been eating in restaurants on Rue de la Bûcherie, which serves a four-course meal for the same price as a hotel croissant (well, almost). On this New Year’s day however, the fixed breakfasts were not available and Mrs M’s egg and bacon with a couple of pain au chocolate came to a staggering 54€ - impressively expensive even by Parisian standards. We spent the morning wandering through the backstreets of the city looking at the people, shops, buildings, cafés, markets and estate agents where we chose an imaginary new home. I left Mrs M in an attempt to finish my sketch but a few heavy raindrops brought an end to the doodlings. Our final dinner in Paris could not have been better. 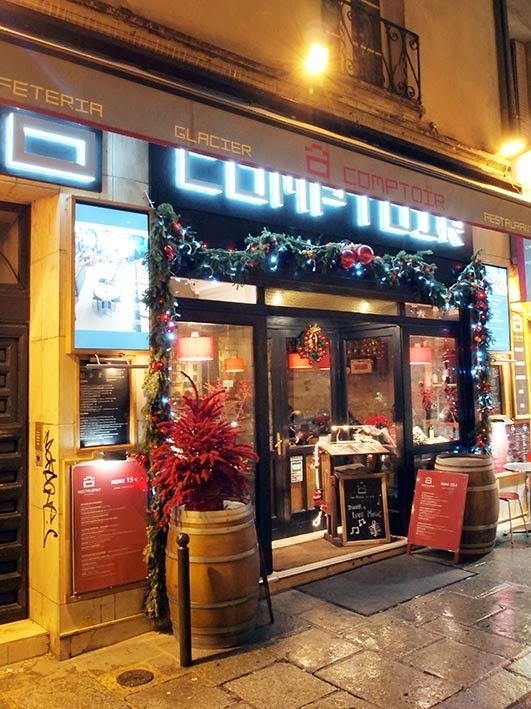 We took a table on the middle floor of Ô Comptoir on Rue Saint-Séverin and reviewed the menu to the accompaniment of loud piano and song from the distant stage. The waitress struggled to keep up with the number of customers, but after starters, we both enjoyed plates of Boeuf Bourguignon with yet more superb bread. It is the mark of a civilised nation that makes good bread and serves it as an integral part of a meal. This was good rustic fodder. I admit to being something of a Francophile; the food is good, the restaurants are busy and have character, restaurant staff are knowledgeable and willing to chat about anything, particularly if you speak French, and there is no such thing as a bad drop of wine. There are far too many overrated restaurants in Singapore which have the atmosphere of the inside of a hot water bottle.